The International School of Zanzibar's Search Committee is pleased to announce the appointment of Dr. James W. Pilton as the new Head of School from August 2018. James Pilton's most recent position was as Director at Quality Schools International Chengdu. Previously he worked at international schools in China, Macedonia, Thailand and Gabon. James has a Doctor of Education (Ed.D.) in Educational Leadership from Lehigh University, an MA in International Relations from Boston University and a BA degree in Government from Bowdoin College. ISZ's Board of Directors would like to thank all of the candidates who expressed interest in the Head of School position. To provide balanced and innovative international education that enables students to achieve their individual potentials, while preparing them to be successful citizens who make positive contributions to society and the world. The School was opened in 1988 by parents who wanted a school that offered an international education. 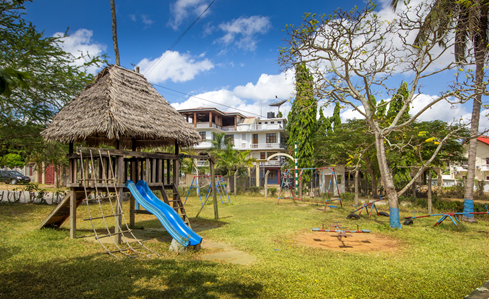 The Government of Zanzibar provided the site on which the office, nursery blocks and a playground were constructed. Then the Library block was added in 1997 and the secondary block in 2007. We have grown to nearly 200 students since then and have approximately 30 different nationalities in our school. We have Nursery through Grade 10 and have plans to expand through Grade 12. We are and IPC, IMYC and IGCSE school and have plans to offer either the IBDP or A-Levels within the next couple of years. The school is a non-profit NGO school that is owned by parents who elect 7 Board Governors who are selected at the AGM. The Head of School serves as an "ex-officio" non-voting member of the Board. The Head of School is responsible for the day-to-day administration of the school and is assisted by a Head of Primary, Head of Secondary and the Operations Manager. This group is the Educational Leadership Team. The Educational Leadership Team also includes the Learning Support Coordinator and Curriculum Coordinators. The International School of Zanzibar is a small, exceptional school set in spacious grounds with views of the Indian Ocean. 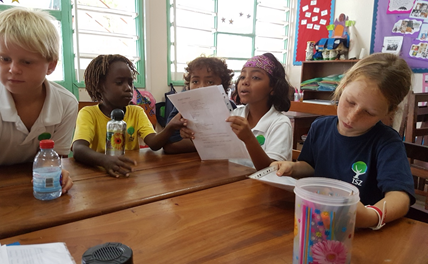 We offer an excellent education to the island's national and expatriate residents, from Nursery through to IGCSE level. The school follows the IPC, IMYC and IGCSE with plans to expand to IBDP or A-Levels in the 2019-2020 academic year. We are seeking an enthusiastic, experienced and vision-driven Head of School to lead our team of outstanding and committed staff. 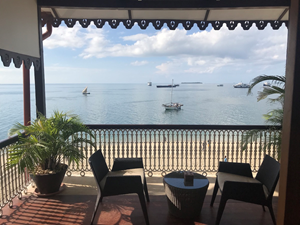 Zanzibar is exactly what you expect it to be, exotic as the name would indicate and the people are warm and kindhearted. 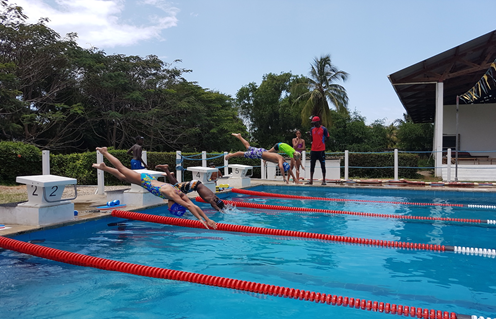 The School is not far from Stone Town and within 45mins drive away to the famous East and North coast resorts where there is extensive kite surfing, snorkeling, diving, fishing, sailing, etc. 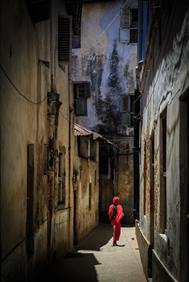 The historic Stone Town is said to be the only functioning ancient town in East Africa. However, Zanzibar offers all the challenges that any African country would. Power cuts, shortages of running water or petrol for the car are not unheard of, food stuffs are imported and can be a little expensive. The island has a handful of small "supermarkets," making life's little comforts available. Generally, life is safe, and slow-paced. ,p>This position is an opportunity to broaden your horizons and make a real difference in a growing, successful international school. The school is planning to potentially develop boarding facilities to support the future IBDP or A-Level program. ISZ also plans to develop further cultural activities such as ballet, opera, local music, performances and plays, art exhibitions, dance, etc. with the completion of the multi-purpose hall. It also plans to equip all the classrooms with computers for all the students, fixed classroom projectors for all the teachers and other technical facilities as required. The annual appraisal of all staff with subsequent summarized reports to the Board in Term 3. The arranging of the agreed number of in-service training days for staff development. The provision of continuous professional support and advice to all teachers. To supervise the Operations Manager, School Secretary, ICT Support and Ground Staff in their duties. 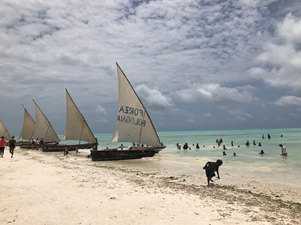 To ensure that the school complies with the legal and financial requirements of the Government of Zanzibar, with advice and support from members of the Board. To liaise with the appropriate agencies in matters relating to tax, insurance and legalities, sharing this responsibility with the Board. To ensure the school grounds, buildings and equipment are maintained and properly used. To approve admissions of individual children to the school in accordance with the constitution and admission policy. To implement safety and security procedures appropriate for the school. To advise and report to the Board on staffing level requirements. To present to the Board job descriptions for all employees and to keep them updated. To supervise all staff and ensure that they work in accordance with their job descriptions. To arrange for the recruitment of all staff in conjunction with Board approval. To arrange for the professional appraisal of all staff in relation to their contract and job description. 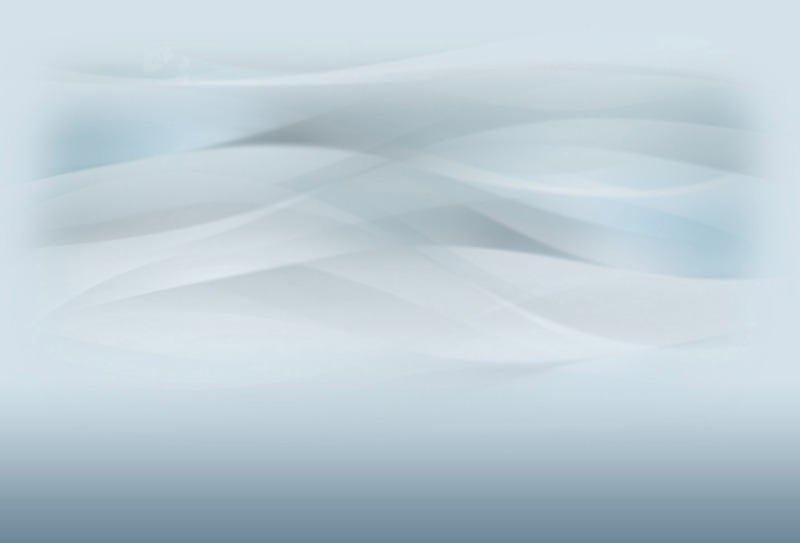 To advise the Board on disciplinary procedures and to implement them. To ensure that all staff have required work and residence permits and that renewals are made in good time. To prepare the annual budget prior to the new academic year relating to the school development plan with advice from the Board Treasurer and data from the Operations Manager. To present it to the general Meeting in Term 3. To present proposals to the Board to amend the overall budget if required. To monitor and manage the budget according to the plan but having the flexibility to adjust expenditure under the global figure. To monitor and manage an agreed accounting system with advice from the treasurer leaving responsibility for capital expenditure and reserves with the Board through the treasurer. 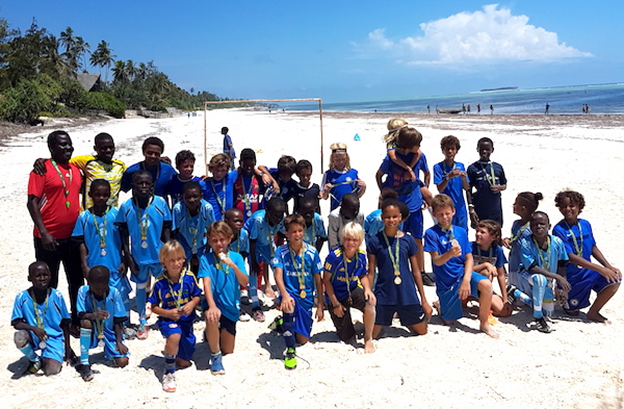 To act as representative of the school with parents/guardian and the wider community of Zanzibar. To provide a professional report to the Board and General Meetings and be available for questioning. To advise the Board on all relevant matters concerning the school. To implement the current school development plan as agreed by the Board and to review it regularly. To be responsible for coordinating the school accreditation process. The salary and benefits depend on the qualifications and experience of the successful candidate. We offer health insurance, payment of Zanzibari taxes, home leave, annual flights, school car, shipping and retirement contribution. Interested candidates should send an application AT THE EARLIEST POSSIBLE TIME but no later than January 15, 2018 (the review of files will begin as soon as applications are received). Candidates should note that in the event an outstanding applicant is identified early in the search process, the school reserves the right to make an appointment before the deadline mentioned above. For this reason it is VERY IMPORTANT that interested candidates apply as soon as possible.